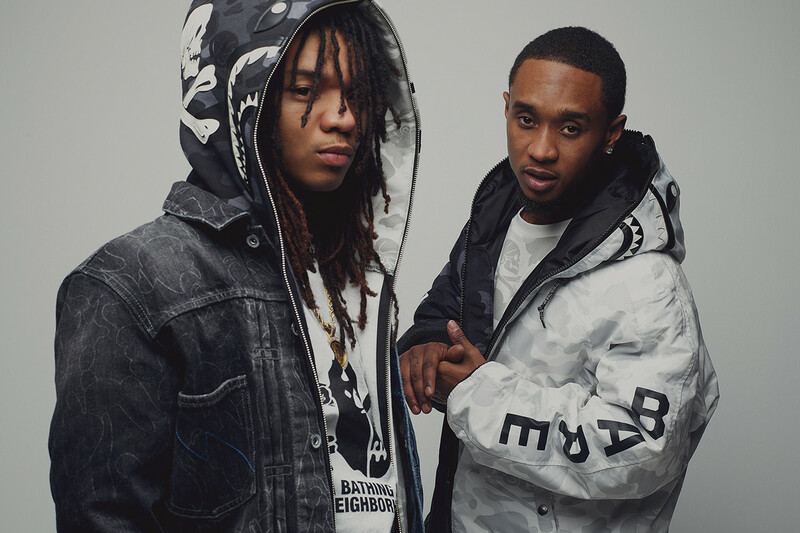 If you are a fan of BAPE or NEIGHBORHOOD, you probably have seen their recent lookbook displaying their work on their latest collaboration, featuring Rae Sremmurd. 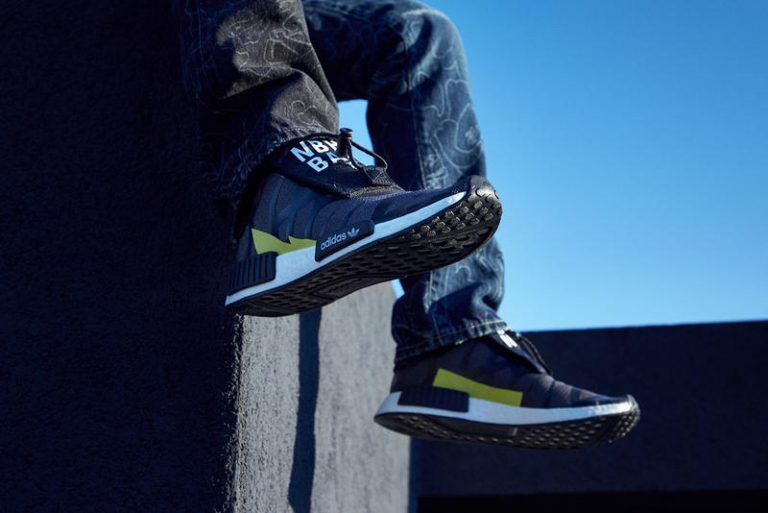 The sneakers had a limited release back in January but Adidas is answering your prayers by having a wider release this month. The POD-S3.1 displays both brand’s signature graphics on it’s backtab, while the uppers features a camouflage pattern split down the middle, with the three stripes and BAPE shark motif visible on the sides. 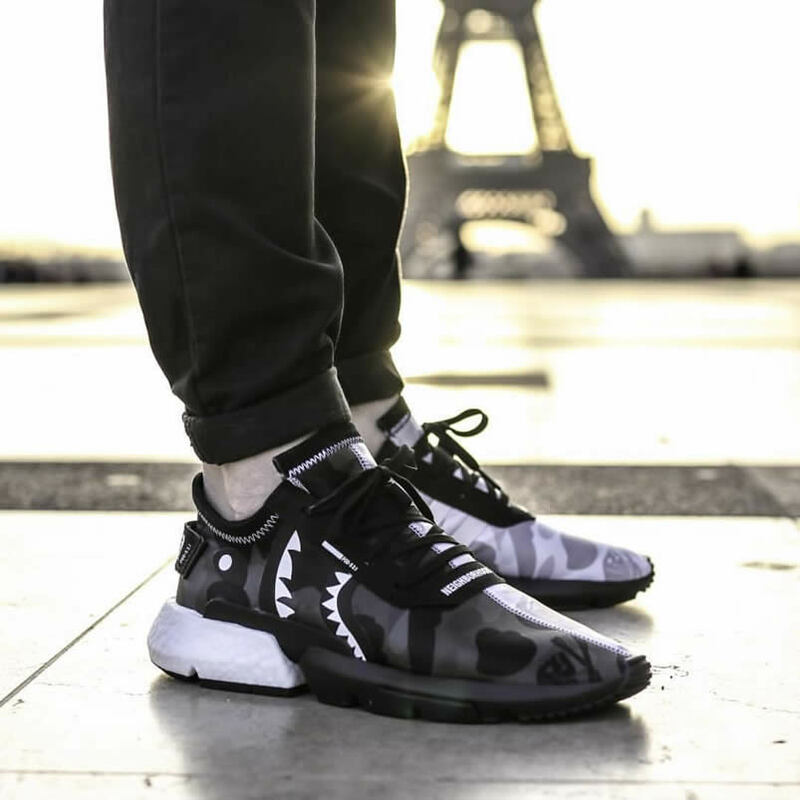 As for the NMD STLT, the flap and backtab features the wording of “BAPE”, “NBHD” and “東京” which means Tokyo accompanied by graphic prints on the primeknit upper. If you are looking to cop, the POD-S3.1 and NMD STLT are available on the 19th of April at 5pm on Adidas online store.